What makes our dogs happy? 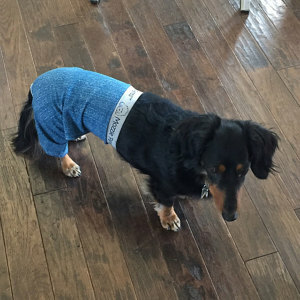 Can Dog Pants Help? 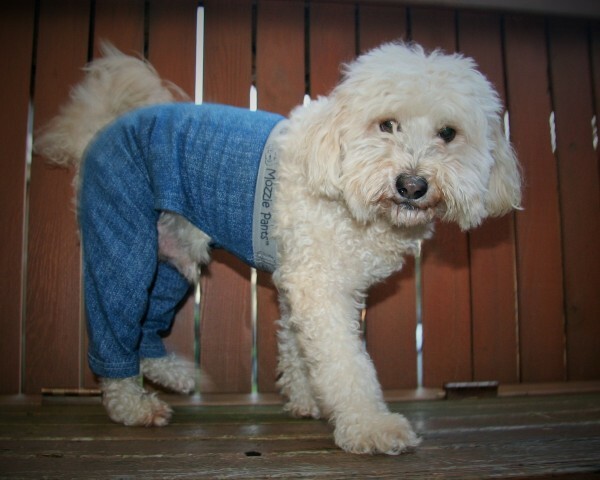 – Mozzie Pants, Pants for dogs and dog suspenders! What makes our dogs happy? -They love to be dogs and mans best friend! Being active with your pup is very key to their happiness, this can be a walk, run or stroll through a park. If you have an older dog they still want the stimulation of being outdoors with their humans. Sitting in a park and watching the world go by is a great thing to do with your older pups. Many humans have a challenge getting their pups out when the weather is not perfect but it is important to their happiness and well being. This is why we designed our Walking Pants in cotton and fleece. They protect your pup and your home from outdoor grime during outdoor play. Take the dog pants off at the door and keep your home clean!! They dry fast, hang them up by the door and when they are dry just shake them out in the yard and they are ready for the next walk! They are washable and dryer safe but we find it is not necessary after each walk. -Our pups love to eat healthy food! Ultimately the better diet they have it is a win for both species! Your dog will feel better and have more energy. The humans will have lower vet bills and happy dog bowels, so less accidents. -Dogs want to please their humans! Take the time to learn all the details of your dogs personality. Give them the guidance and training so they know what will make you happy. The happier you are with your pup, the happier they will be. -Keep your pup comfortable! If any injuries happen, check out our dog pants and dog tops to help make them comfy while recovering. They can cover wounds and hot spots so they can ditch the cone! This article was very interesting and has some great points to consider when paying attention to your pups happiness! Love your dog, spend time with them, keep them stimulated….they will love you unconditionally!! 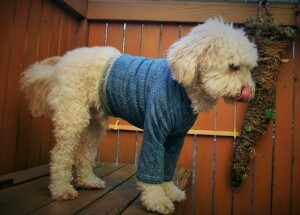 This entry was posted in Mozzie's Thoughts and tagged dog pants, Dog tops, pants for dogs.